Homicide at Sea: Which Vessel is the Pirate in the Italy-India Conflict? Some two dozen rounds of a powerful automatic gun are suddenly fired from one vessel on the high seas onto another. The latter is an unarmed Indian fishing boat with nets cast. Two fishermen are killed on deck, some eleven are asleep below deck and are injured. The vessel has some 16 bullets on it. 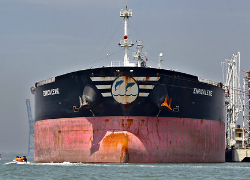 The shooter, an Italian oil tanker, departs the scene and apparently does not report to the closest maritime authority that it has fired at presumed pirates. But of course, it itself may be the pirate by the Law of the Sea convention because the specific gunmen might just have been, while on their long voyage, bored or drunk when they saw some dark thin figures in the distance in the water and thought they would get some target-practice for fun.1 These homicides that took place on the high seas may have been accidental (e.g., the gun jammed) or unintentional or deliberate murder. We do not know because the facts have not been allowed to be tried in court proceedings. The fishing vessel returned weeping to port, the Indian Navy and Coast Guard—to their credit—engaged in hot pursuit and managed to arrest the Italian vessel on the high seas, and the Italian vessel—to its credit—did not make a run for it but came into port. Then the local provincial police arrested the alleged gunmen and charged them with murder, etc., under domestic law and also refused to let the ship free until it had paid a bond. Who has had jurisdiction? Italy or India? From the beginning I, on the basis of my little learning in 1973-74 under the late great Professor DHN Johnson at the London School of Economics, one of the authors of the Law of the Sea Convention being written at the time, said the answer was both—it is a case of concurrent jurisdiction where Italy obviously has jurisdiction, as it was an Italian vessel that caused the homicide at sea, while India too has jurisdiction, as an Indian vessel was assaulted and India made the ship-arrest on the high seas. The case needed clinical adherence to law and forensics by both countries in cooperative pursuit of the truth such that that elusive thing the interests of justice could prevail. Italy rightly said the local domestic law of the land did not apply, and the Supreme Court of India agreed with them. But Italy wrongly said India did not have jurisdiction at all, and the Supreme Court of India was clear that India had to create a Special Court for the purpose of a trial under international law. Had India not made the ship-arrest and prosecuted the case, the possible criminal act that may be involved in this homicide at sea would have disappeared altogether. Italy then asked for the two alleged gunmen to go home on parole for Christmas, the Supreme Court was assured by the Italian Government they would return to face trial, the Supreme Court granted them parole to do so, and they did return; some weeks later Italy asked for the two to go on parole again, this time to vote in their elections; again, with the same assurances, the Supreme Court of India allowed them to do so. Now Italy has breached its undertaking to the Supreme Court and refused to return them, saying India is in breach of international law, and Italy has sent the alleged gunmen back to normal work without even any purported trial of facts in the case under Italian law or Italian military law. The Italian Ambassador would normally be in clear Contempt of Court—except he has diplomatic immunity and cannot be arrested or prosecuted. India, it seems to me, has no recourse but to take the drastic measure of declaring the Italian Ambassador and perhaps others of his staff persona non grata, and to expect an equivalent retaliatory measure from Italy, and for a chill in trade and business relations and tourism etc to set in for a while before things can get better. Diplomatic expulsions need to demonstrate swiftness of purpose because they are a metaphor for warfare; waiting until March 22 because it is a court deadline or to give the other side a chance to respond is both tedious and silly. Besides, an expulsion is retaliated with by an expulsion usually; where it is not, it is the diplomatic equivalent of a military surrender. It is an unfortunate rift in relations between friendly countries due to a random event on the high seas; it required the right application of international law to the facts, which neither Government separately or together managed to do; that was something I have feared and warned against from when it started. In June, the local Italian Government consul asked to meet me and came to be fully apprised by me of what I thought the legal facts were and what could be done in the interests of justice. But they chose not to accept the advice. Dr. Subroto Roy blogs at www.independentindian.com. How do we solve the Italy-India problem *without* mutual diplomatic expulsions or any breach of diplomatic relations? **My advice to the UN in India is the UN Secretary General create a Special Tribunal housed in New Delhi consisting of two Italian judges and two Indian judges to hear the evidence of the case. ** (Perhaps one judge from each country can be from its Navy). All laws, domestic and international, plus all national honour and all domestic judiciaries will thus come to be satisfied. Facts will emerge, and justice will be done. Compensation is a separate mater; the Government of Italy had initially supposed it was merely a matter of handsomely compensating poor fishermen; the idea of some Italian mayor to offer education to the children involved is similar; it is condescending nonsense. The issue is intent: was there criminal intent in the shooting? That is what has to be investigated seriously and tried. Initially, the Italians denied it was them, insisted it was mistaken identity etc, then insisted on ballistics tests, etc, and finally came around to admitting it may have been accidental homicide, and then claimed sovereign immunity for uniformed soldiers on a merchant vessel on the high seas. Was it a warship or a merchant ship? Clearly it could not have been both. If it was a warship, then the act was that of a belligerent; if it was a merchant, which of course it was, then it was either an innocently or criminally motivated homicide, we do not know which as the facts have yet to be tried. The issue of international arbitration may arise on the civil side, not for the investigation of criminal intent. As a WordPress site, there is a spam filter and all new commentators must be approved. That has proven to be sufficient for us. Thanks for reading! Hello to every , for the reason that I am actually eager of reading this blog’s post to be updated daily. Wow! This blog looks just like my old one! It’s on a totally different topic but it has pretty much the same page layout and design.